SPECS: 1080p HD resolution, but only 60Hz refresh rate. 60 Hz wouldn’t be a big issue for smaller TVs like 32″ TVs. Just think about this. Let’s say a football moves from 1 corner of the TV to the other diagonal corner in 1 second. It travels 50 inches during that 1 second. On a 32″ TV, the ball travels only 32 inches during that same 1 second. Hope you can understand why motion blur can be a problem in bigger TVs than in smaller TVs. However, if you’re not in to watching a lot of sports and fast moving video games etc. etc., this is almost too good a deal to let go! This Element 50″ HDTV costs less than $400. Read the reviews and stay away from it! EXPIRED Over 30% off this Samsung SPECS: 1080p HD, 60Hz. Although we’re hesitant to recommend this 32″ 1080p 60Hz Samsung, a 60Hz Samsung is better than a 60Hz [unheard make]. Also, 60Hz on a 32″ is not as bad as the same configurations on a 55″ TV. 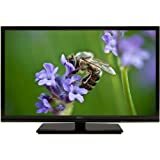 If there aren’t any other deals on 120Hz LED TVs, this is not a bad choice! Over 50% 30% price cut – SUPER HOT Deal on a SUPER HOT TV! Specs:1080p resolution, 120 Hz refresh rate, 2 HDMI, 1 component video,m 1 USB and 1 shared composite video input, 65″ LED TV, it’s a SAMSUNG! Cons: Not Smart, No apps, No built-in Wi Fi, not even an ethernet port, a little thick at 3-7/8″ (newer models are less than 2″ slim). Nevertheless a great buy for as long as you can get it for the sale price. Do we recommend this deal? Yes, if you don’t need 3D, Smart features/Apps, Wi-Fi, go ahead and grab this with both hands! This 42″ VIZIO has what the Sharp lacks. Do we recommend this? It’s 2014, we’re reluctant to recommend a non-Smart TV! Read our review on the TOP 3 60-69″ LED TVs and decide which is best for you! Read our review on the TOP 3 70-79″ LED TVs and decide which is best for you!